AtHomeNet, Inc. welcomes David Hosie as Director of Sales. Hosie will provide important leadership and direction as AtHomeNet continues to grow and flourish. AtHomeNet, Inc., a provider of web-based services for community associations and association management firms, welcomes David Hosie as their new Director of Sales. Hosie will take up his duties on May 1, 2012. Hosie heralds from Long Island University, and developed a firm foundation in the technology and imaging industry. He comes to AtHomeNet with 20+ years of professional sales management experience. 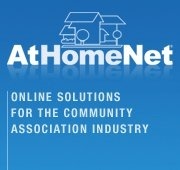 AtHomeNet® is the nation's leading provider of web-based services for communities and association management firms. Established in 1998 by Jeff and Susan Sanders, their HOA websites are now being used in over 2 million homes across 6 countries. AtHomeNet continues to grow as a company and enhance their services in the ever expanding world of online technology. For more information on AtHomeNet please visit http://www.AtHomeNet.com or contact Lauren Briscoe at LaurenB(at)AtHomeNet(dot)com or call 1-800-556-7852.